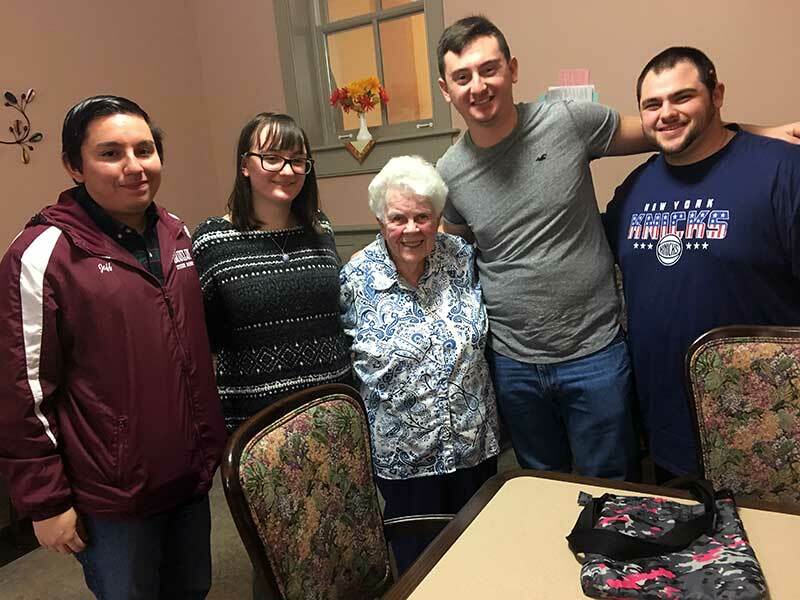 (Amityville, NY) – Religious Sisters and college students laughed and chatted at Queen of the Rosary, the Motherhouse of the Sisters of St. Dominic of Amityville, NY on November 6, 2017, during National Vocations Awareness Week. Students sat at small tables to interview Sisters as part of their Spiritual Autobiography class at Molloy College in Rockville Centre which has been a tradition for the past twelve years. “People don’t get an opportunity to see what a Sister is and this was a chance to explain my life,” commented Dominican Sister Marianne Miller. 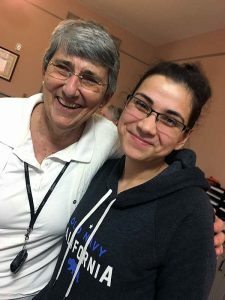 “It was meaningful to me.” Sister Marianne shared her story with student Fatima Shamurai. Fatima is Muslim and S. Marianne is Catholic but they connected on a deep level. Fatima asked Sister Marianne who her favorite saint was. S. Marianne’s answer surprised her. “Her parents were her favorite saints,” said Fatima. This touched Fatima who recently lost her grandma. S. Marianne encouraged her to continue to talk to her grandmother, “To call my grandma in my heart” especially with questions or in times of need, Fatima explained. After the encounter, both believers hugged. As part of their Spiritual Autobiography class, students will read autobiographies from various religious traditions such as St. Augustine, Dorothy Day, Elie Wiesel and Ghandi. The class culminates when the students write their own spiritual autobiographies. To learn more about the Sisters of St. Dominic of Amityville, please visit http://www.sistersofstdominic.org. « Aquinas Institute of Theology Faculty Opening	» Dominican Sister of Amityville Grace Regina Wingenfeld Hits Milestone—106 Years old and 90 Years as a Religious!